Have you ever wanted to stop thinking on something and just been unable to? Scientists could have the secret. 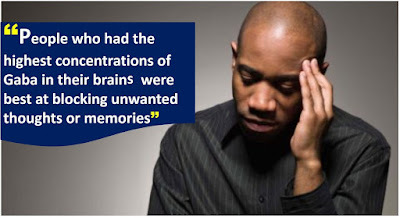 They have identified a chemical in the brain's "memory" region that allows us to suppress unwanted thoughts. The discovery may help explain why some people can't shift persistent intrusive thoughts - a common symptom of anxiety, post-traumatic stress disorder (PTSD), depression and schizophrenia. Researchers say controlling our thoughts is "fundamental to wellbeing". Researchers found a particular chemical, or neurotransmitter, known as Gaba, held the key. Gaba is the brain's main "inhibitory" neurotransmitter. That means, when it's released by one nerve cell it suppresses the activities of other cells to which it is connected. 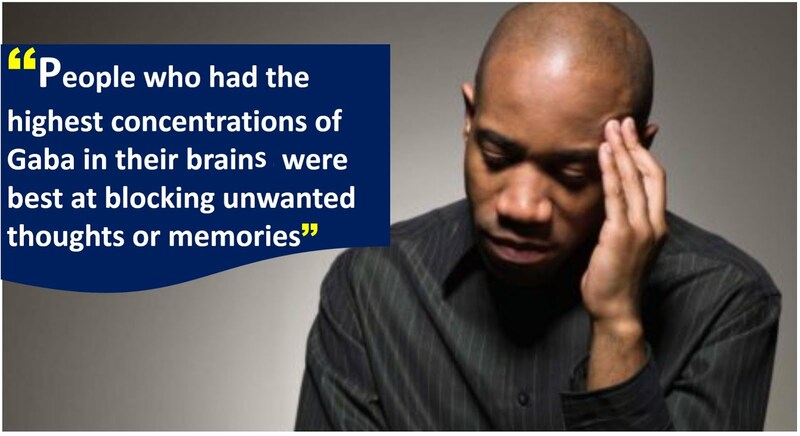 They found people who had the highest concentrations of Gaba in their brain's hippocampus (or memory hub) were best at blocking unwanted thoughts or memories.